If you miss having real bread, then you’re going to love this recipe. I found it on the blog Delicious As It Looks, and it has helped me look forward to eating breakfast again. The original recipe calls for glucose syrup, but since that lists corn syrup as the only ingredient, it made me nervous. So I tried making them with different sugars. 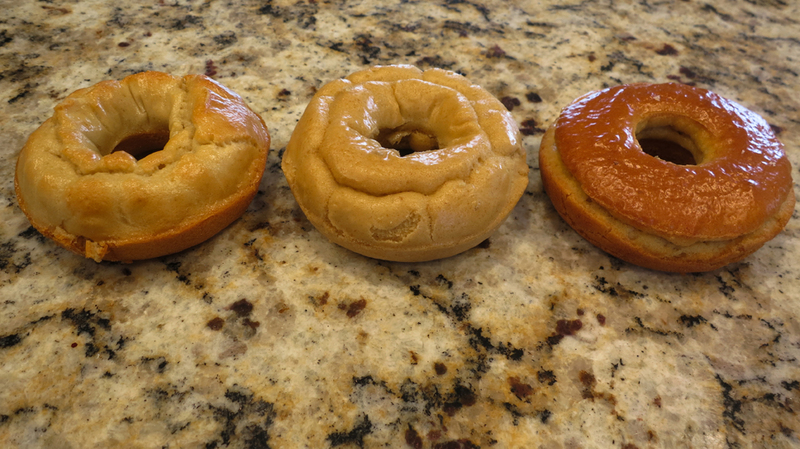 The only on the left is made with the glucose syrup, the center is made with table sugar, and the one on the right is made with dextrose. And the one with table sugar was actually less preferable than the other two. Other than the different look of the ones on the ends, they both tasted great and were soft and fluffy. If I eat more than one a day my digestion gets a little screwed up (that could have been the corn syrup though, I haven’t tried it with the dextrose version). 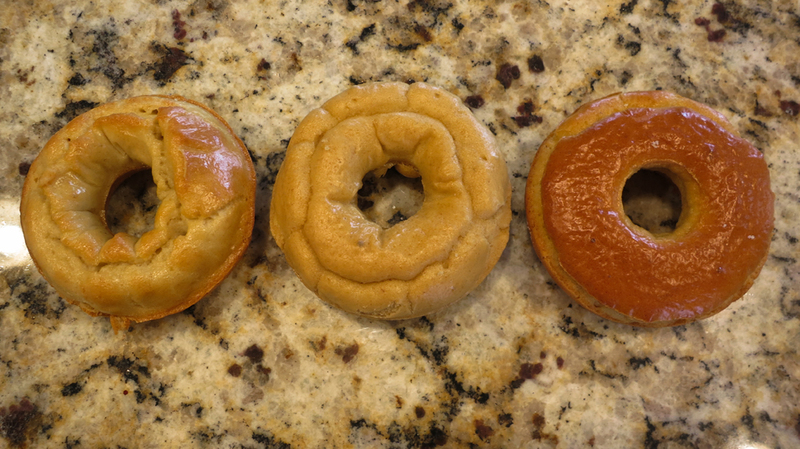 I halved the original recipe so that it yields 5 bagels (after about 5 days they start to get a little hard). 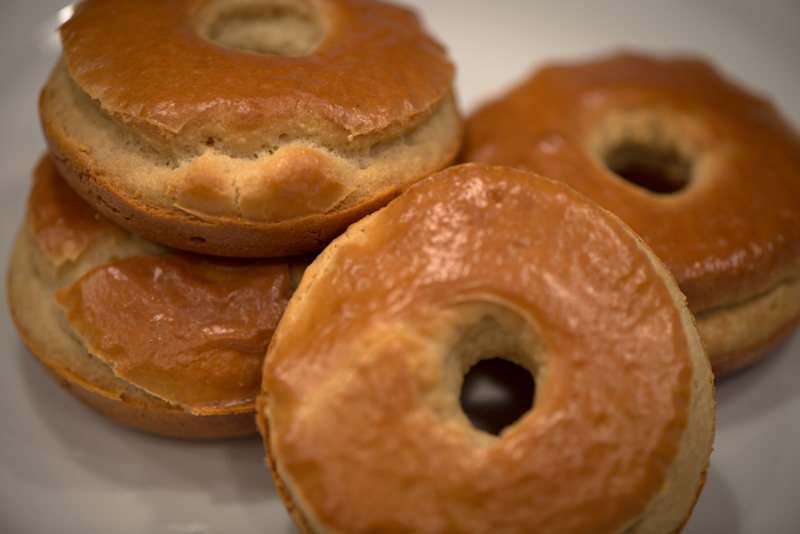 You also need a doughnut pan for these, since the recipe makes something more like batter and not dough. I found mine at JoAnn Fabrics, but I’ve seen the same one a lot of places that carry baking supplies. Heat oven to 350 degrees and grease your doughnut pan with cooking spray. 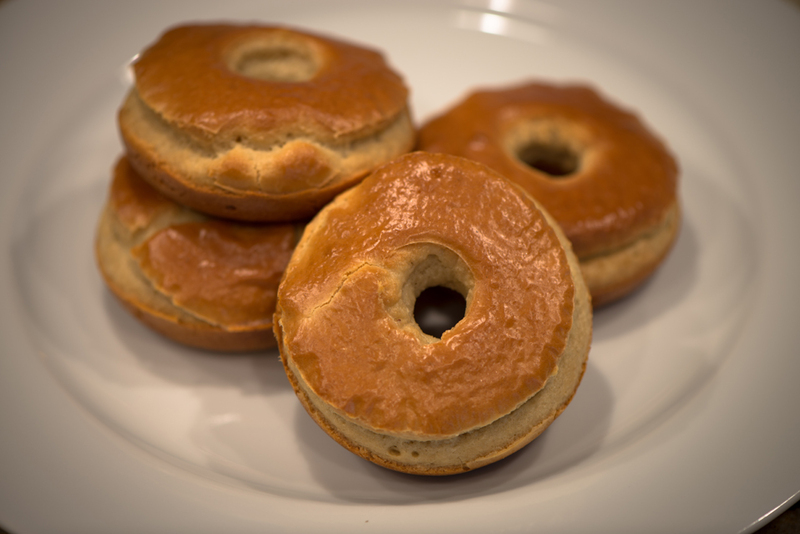 Mix all the ingredients together with a hand mixer and fill 5 of the doughnut molds with batter. This entry was posted in Recipes and tagged almond flour, bagels, bread, dextrose, fructose malabsorption, tapioca starch, white rice vinegar by nosugarlessgum. Bookmark the permalink. These look great! I think the problem with glucose syrup in the US is that it is always from corn but in Australia it’s usually from wheat or cane sugar. I guess it depends on where you live but it makes sense that dextrose would work as well. I’m really glad the dextrose worked, because glucose syrup was such a pain to deal with! okay…do you buy your blanched almond flour online? I can find it NO WHERE other than online! Thanks for helping me with this!!!!! I’ve seen Bob’s Redmill almond flour at Whole Foods before, but I’ve heard that it isn’t as good as others. I have used both BRM and the Simple Truth almond meals – Simple truth was almost half the price and while it didn’t look as promising out of the packet, it has performed just as well in the cakes and muffins I’ve used it in.